The three simultaneous construction programs are part of the largest concentration of private-capital investment in Australia's history. The three facilities have the combined capacity to supply 25 million tonnes per annum of LNG –equal to about 8% of the world's production. "Completion of the unprecedented scale of engineering and construction work on Curtis Island in Australia is a historic achievement for Bechtel, the largest greenfield program we delivered since the company was founded in 1898," said Alasdair Cathcart, president of Bechtel's Oil, Gas and Chemicals business unit. "No company has ever attempted to build three simultaneous construction programs in one location. Successful delivery of reliable gas liquefaction facilities along with sustainable local benefits is a testament to the talent and ingenuity of our global team, collaborative relationship with the three customers, the excellence of our extensive global supply chain, and the immense support of the Gladstone community. Thanks and congratulations to the entire team on achieving the extraordinary." As part of the company's sustainability efforts for the Curtis Island program, Bechtel engaged with the nearby community and Australian authorities to develop and implement a number of programs targeted at developing Australian craft workforce and increase local participation in the construction of the LNG plants. Bechtel's goals aimed at building the local economy included hiring and mentoring 436 apprentices for the project, with an additional 11,000 people receiving accredited training. Other sustainability objectives included successfully protecting the environment by rehabilitating 65 acres of land with indigenous seeds as well as recycling 57,500 + yd3 of waste. The Curtis Island LNG program also recently won Engineering News-Record's 2016 "Global Best Project Award" in the power/industrial category for safe and innovative solutions to design and construction challenges, international teamwork, contribution to the community, and quality of design and construction work. Bechtel is the global leader in the LNG industry as the company is responsible for developing nearly a third of the world's gas liquefaction capacity under construction today, including the Chevron-operated Wheatstone LNG project in Western Australia, and the first LNG export facility in the United States in over 40 years, Cheniere's Sabine Pass Liquefaction project. 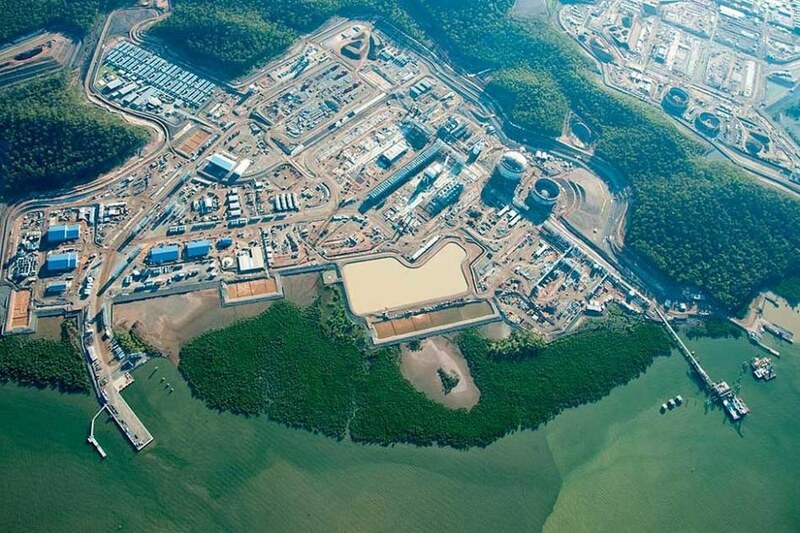 A short overview of the Curtis Island LNG program can be viewed here.